Cleaning INTERIOR Clean the dishwasher at least once a year. Heavy use may require more frequent cleaning. 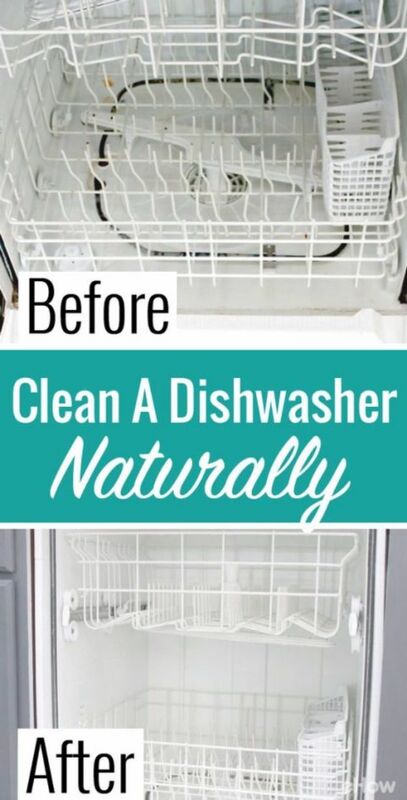 A vinegar or citric acid bath removes soap and rinse aid from the dishwasher interior.... Cleaning INTERIOR Clean the dishwasher at least once a year. Heavy use may require more frequent cleaning. A vinegar or citric acid bath removes soap and rinse aid from the dishwasher interior. Cleaning INTERIOR Clean the dishwasher at least once a year. Heavy use may require more frequent cleaning. A vinegar or citric acid bath removes soap and rinse aid from the dishwasher interior. 1. Clean and deodorize the interior. Periodically use a warm rag and some household cleaner to wipe the space between the door and bottom of the tub.